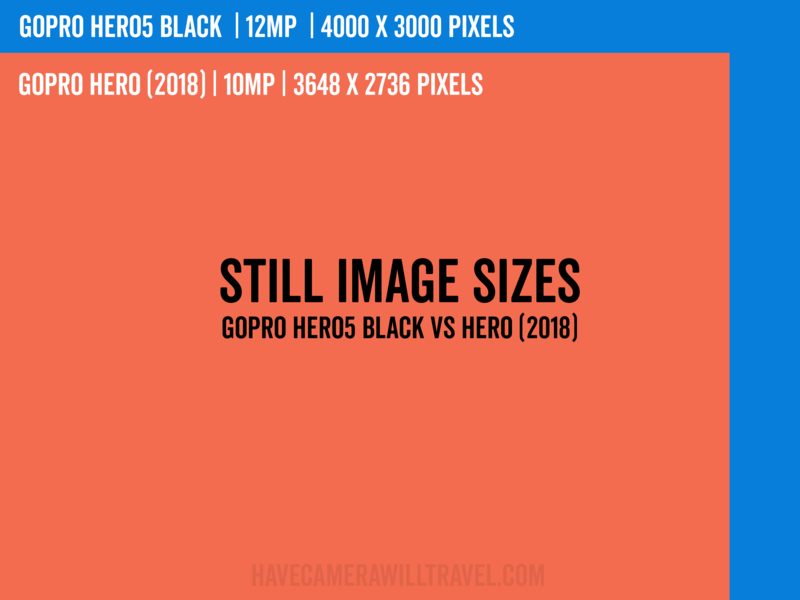 Here's a detailed comparison of the GoPro HERO (2018) and the HERO5 Black. From left to right: GoPro HERO (2018), HERO6 Black, HERO5 Black. GoPro has now released a new camera called the HERO, bringing the current lineup to five cameras and continuing a confusing naming system. Because this isn't the first time there's been a GoPro HERO. There was an earlier one released in 2014. And well before that, there was the HD HERO and another HERO that's now usually referred to as the Standard Def. HERO. And let's not forget the HERO+ and the HERO+ LCD. With all of those HEROs, you'll often see the newest version called the HERO (2018) to make it clear which version is being referred to, and that's the model I'm focusing on here. 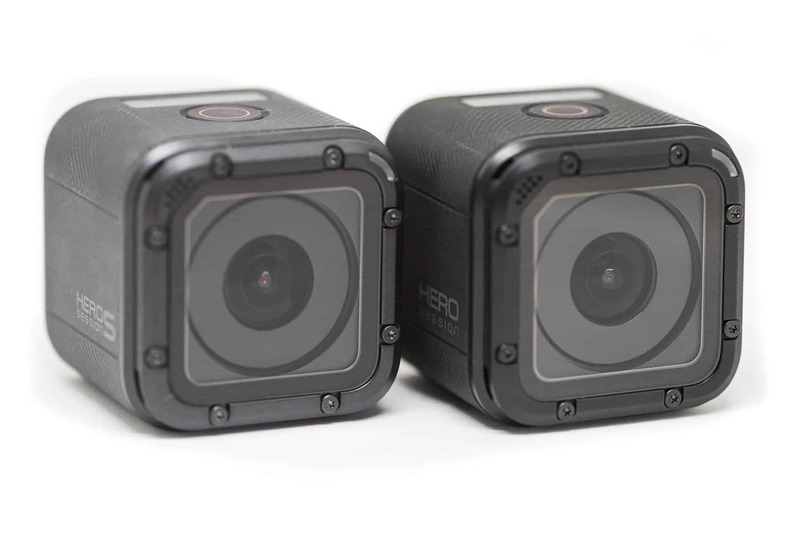 The HERO (2018) is the latest addition to GoPro's current lineup, which also includes the HERO Session, HERO5 Session, HERO6 Black, and Fusion. I've previously posted a detailed side-by-side comparison between the HERO (2018) and the HERO6 Black. But there's also another model that's remarkably similar and some key respects. It's the older HERO5 Black. The HERO5 Black has been superseded by the newer HERO6 Black, but since it's readily available and you can find some good deals on it that brings it into the same ballpark as the HERO, I thought it might be useful to provide a detailed side-by-side comparison in case anyone is trying to choose between them. The HERO and the HERO5 Black look identical on the outside. And they share quite a lot of similarities under the hood too. But there are also key differences. In broad strokes, the HERO5 Black can do everything the HERO can do, and quite a lot more besides. The HERO (2018) is designed as the simplified, entry-level camera. The HERO5 Black was, before the HERO6 Black came along, GoPro's flagship camera, and it's packed with the kinds of bells and whistles that comes with that territory. But there’s quite a lot about the HERO to suggest that it's fundamentally a repurposed and rebadged HERO5 Black with a feature set that's artificially limited by the firmware. They use the same case, so from the outside, they look identical. You have to look very closely to see the subtle model name printed on the side. They're the same size and weight. They have the same buttons and screens and controls. From left to right: GoPro HERO, HERO6 Black, HERO5 Black. Waterproof. They're both waterproof without the need for a separate housing, rated down to 33 feet (10 meters). If you need to go deeper than that, both are compatible with the same Super Suit dive housing. Back Screen. They both have an LCD screen on the back that gives you touch control as well as being used for playback and live view. Shooting video is the area where there are the biggest differences between these models. The HERO5 Black has an extensive range of video resolutions and framerates available, all the way up to high-end video modes like 4K30 and 1080p120. The HERO (2018)'s video options are much slimmer. You can shoot in either 1080p or 1440p up to a maximum of 60 fps. The HERO doesn't shoot 4K or 2.7K video. Here's the full chart comparing the available video modes. Stabilization. Both cameras have the option to enable the built-in software stabilization to get smoother footage. Also known as EIS, you can see some practical examples of it in action here. Stabilization isn't available in all the video modes of the HERO5 Black. You can see which modes it's available in here. On the HERO, the stabilization is available in all of its video modes. When using the stabilization option, you do get a very slight cropping of the available view. The FOVs available on the HERO5 Black overlap, but there are also some extra options. It also has Wide, Medium, and Narrow FOVs, but there's also a SuperView mode (even wider) and a Linear FOV, which mostly corrects for the fisheye distortion to convert it to a more natural perspective (particularly useful when filming from drones). The Linear FOV is different to the Medium and Narrow FOVs in that it's a calculated correction applied by the camera's software rather than a simple crop. Bitrates. The maximum bitrate used (currently) on the HERO (2018) is 45 Mbps.1 The maximum bitrate on the HERO5 Black is 60 Mbps. Both are high enough to warrant some care in choosing an SD card that's fast enough. 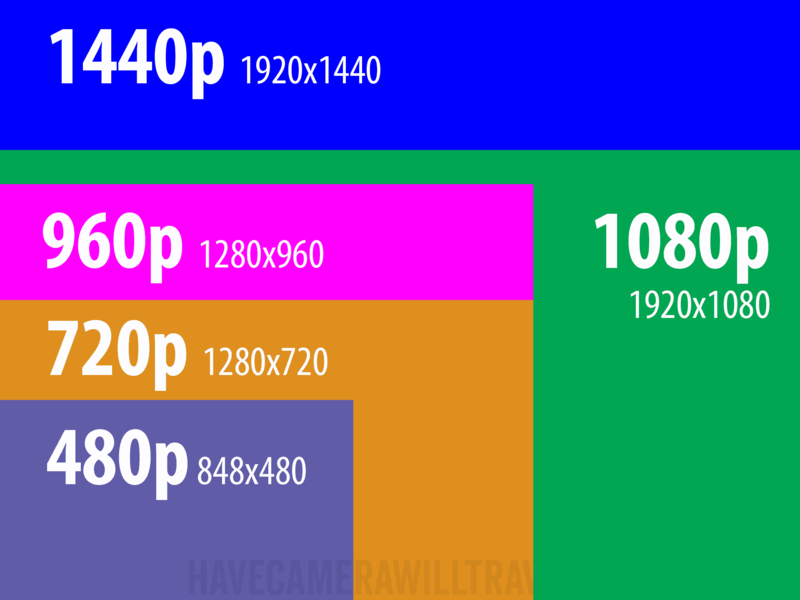 Video Formats. 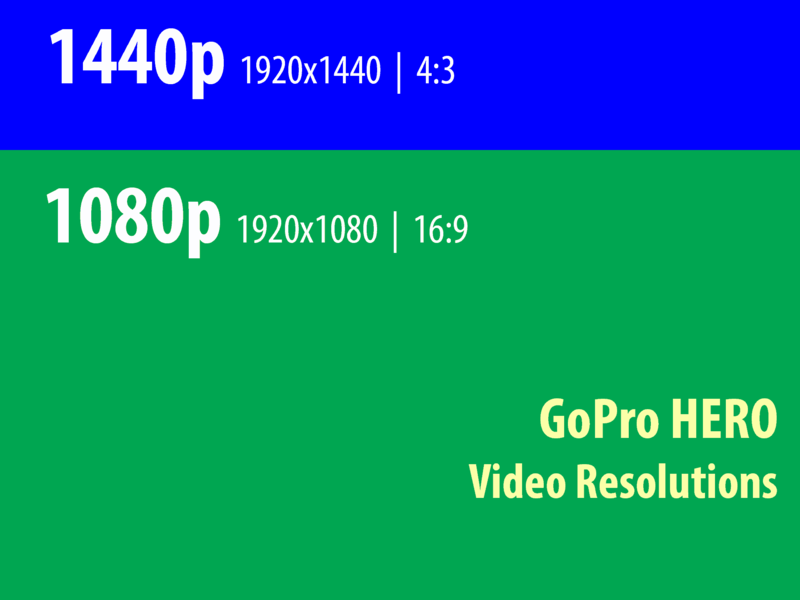 Both cameras produce MP4 video files encoded with the widely used H.264 codec. Looping. The HERO5 Black has a looping feature that records for an interval and lets you select which section to keep. The HERO doesn't have looping. Video+Photo. The HERO5 Black has the ability to capture still images while simultaneously recording video. The HERO (2018) doesn't. The photo modes of the two models are quite similar. I have a more in-depth post on the photo modes on the GoPro HERO5 Black here. Here's a visual representation of how those resolutions compare. You can click on the image to see it full-size. Image Formats. Both models capture images in the standard JPG format. The HERO5 Black also lets you capture still images in GoPro's RAW format that have the file extension of .gpr. By making available much more of the information captured by the sensor, the RAW format allows for potentially higher image quality, but the files aren't easily shareable directly and need to be processed through an image editing app first. Fields of View. 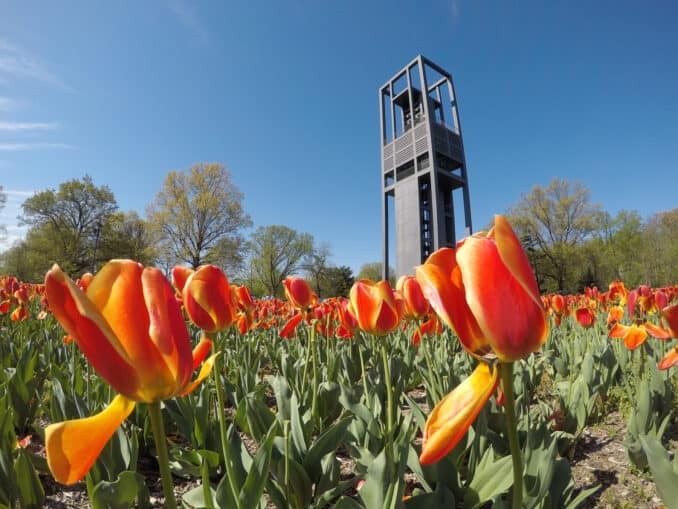 By default, the images are captured in that distinctive fisheye look. On both cameras, that's known as the Wide FOV. You can also choose to mitigate that fisheye look with different FOVs that look less distorted. It's important to note, though, that these corrections are applied in camera by software algorithms; they're not applied optically through the lens. The FOV options are a bit different on each camera. On the HERO, you can choose from Wide, Medium, and Narrow FOVs. Those are essentially crops rather than corrections. Or, put another way, the result is like a digital zoom (not an optical zoom). On the HERO5 Black, you also have Wide, Medium, and Narrow FOVs, but there's also an extra one: Linear. The Linear FOV uses software to correct the distortion that you can see when straight lines get that strong curve. You can see some practical examples here. 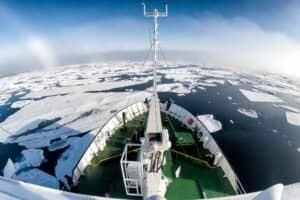 This mode can be especially useful when using the camera mounted on a drone, but it's also useful if you just don't want that bulging fisheye look. Night Photo. The HERO5 Black has a special photo mode that's designed for low-light shooting such as at night. It leaves the shutter open longer to allow more light in. The HERO doesn't have this night mode. Wide Dynamic Range. Both models have a mode that is designed to bring out details in the highlights and shadows. GoPro calls it WDR, for wide dynamic range. I'm a bit ambivalent on the results it gives, and it doesn't work as well as the better HDR mode in the HERO6 models, but it does recover some detail in shadows and highlights. You can find some side-by-side comparisons here. Protune. Protune is GoPro's name for extra settings that amount to an expert mode that lets you override or fine-tune parameters for various settings. The HERO doesn't have any Protune options. You mostly have to stick to fully automatic mode. The HERO5 Black has several Protune settings for still images. 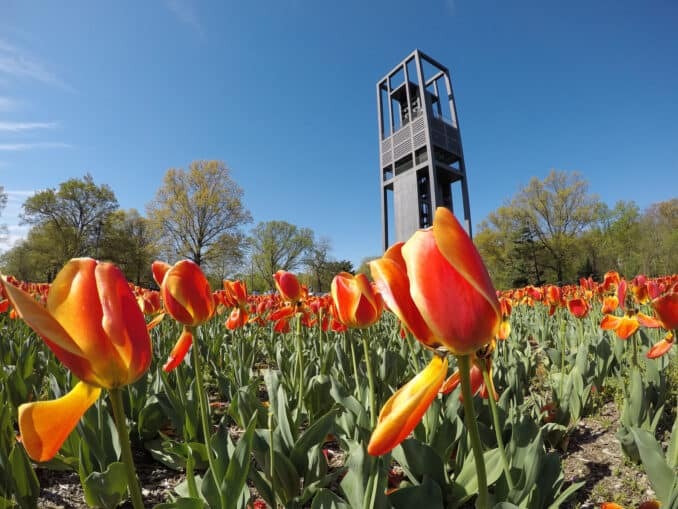 They include options for exerting some manual control over the shutter, exposure compensation, setting maximum and minimum ISO, and adjusting white balance, sharpness, and color mode. Timelapse. Both cameras have timelapse modes, and on both, you can choose timelapse photo mode (which shoots a series of still images that you can compile into a video later using software) or time-lapse video mode (where the compiling is done in the camera itself). But the HERO's time-lapse options are much more limited. There's no control over one of the crucial elements of a timelapse, the interval--it's a standard 0.5-second interval. And in the time-lapse video mode, you're limited to 1080p output. With the HERO5 Black, you have much more granular control over the timelapse settings. You can choose from 0.5, 1, 2, 5, 10, 30, and 60 second intervals. You can also specify the field of view, image format (in time-lapse photo mode), and Protune options. The HERO5 Black also has a special variation on the time-lapse photo mode that's known as night lapse mode. It leaves the shutter open longer to let more light in when shooting in low-light situations. The HERO doesn't have night lapse mode. Burst Mode. Burst mode is a special still images mode that captures a high-speed sequence of images. It can be especially useful for capturing fast action and gives you more chances to get the shot you want when the timing is critical. Both cameras have burst mode, but the HERO's options are limited to 10 photos in 1 second. With the HERO5 Black, you get more options, including, faster, slower, and longer sequences (30/1 (30 photos in 1 second), 30/2, 30/3, 30/6, 10/1, 10/2, 10/3, 5/1, and 3/1). Continuous Photo. The HERO5 Black has a continuous photo mode; the HERO doesn't. This is similar to burst mode in that it takes a quick series of shots, but it functions a little differently. In burst mode, you first switch to that shooting mode and then hit the shutter once. It will then shoot the full sequence that you've designated. Continuous photo mode works in the regular photo mode. You hold down the shutter, and it will keep shooting until you release the shutter. In continuous photo mode, the HERO5 Black takes four photos per second up to a maximum of 30 photos. Wireless. Both cameras have built-in wireless features, so you can control the camera remotely (with the smartphone app or a remote) as well as download photos and videos to use in Smartphone apps like GoPro's Quik app. When set up with a GoPro Plus Subscription, both cameras can automatically upload to the cloud. Voice Control. Both of these cameras offer voice control. When it's enabled, you can speak some basic command to do things like start and stop recording or change the shooting mode. Audio. Both cameras have three built-in microphones. You can also plug in an external microphone (or another audio accessory) into the HERO5 Black (using a mic adapter), but you can't do that with the HERO. The HERO5 Black can also record a higher quality WAV audio file separately from the video file. The HERO's audio is standard compressed audio embedded in the video file. GPS. The HERO5 Black has GPS and other metadata that can be used for telemetry. The HERO doesn't. Both take the same batteries. 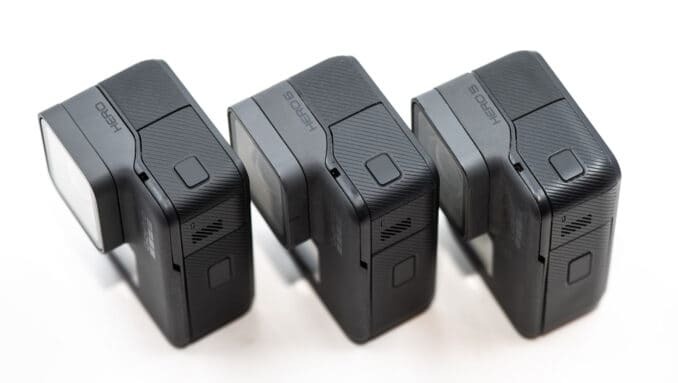 It's also the same type of battery used by the HERO6 Black. When you're using the same settings, the battery life is much the same between them, give or take. But the HERO doesn't have the high-end video modes that drain the battery more quickly, so in day-to-day shooting, you're more likely to get slightly better battery life out of the HERO simply because you're limited to video modes that don't use quite so much juice. But the battery life on both of them is likely to leave you underwhelmed, which is why I always make sure to have spare batteries on hand. Both have a USB-C connection, so they're compatible with the SuperCharger for fast charging. For the most part, they're compatible with the same accessories. 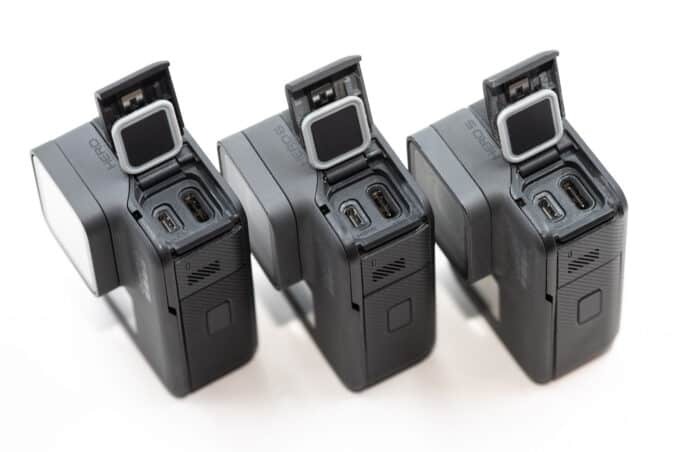 They use the same standard GoPro mounting system, are the same size and shape so can use the same housings and frames, and they have the same ports. There are some important exceptions, however. External mics.The HERO5 Black will take external microphones, while the HERO won't. Karma Drone and Karma Grip. The HERO is not compatible with the controls on the Karma drone or grip. GoPro Remotes. The HERO is not compatible with any of GoPro's remotes, including the REMO or the Smart Remote. HERO (2018) vs HERO5 Black: Which Is Better? The HERO5 Black is a better camera. It can do everything the HERO can do and quite a lot more. So if you can find a good deal on the HERO5 Black that brings it within striking distance price-wise of the HERO, it's hard to think of a good reason not to go with that. The HERO can't do anything the HERO5 Black doesn't also do, but it does have the virtue of simplicity. 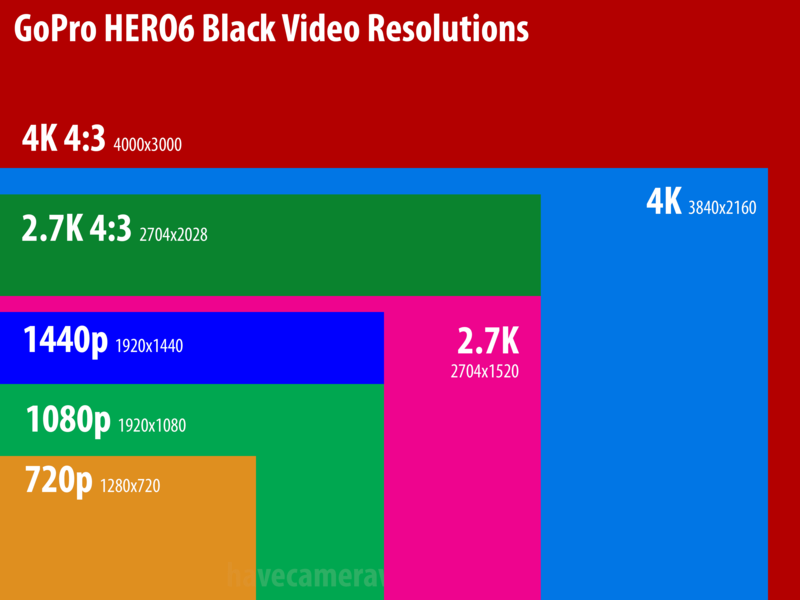 If you just want to keep things simple and don't need 4K video or any of the other higher-end features of the Black range, then the HERO can be appealing. I buy most of my gear at Amazon and B&H Photo. Since these are both now technically discontinued models, they'll become harder to find new. But there's a good chance of picking up used copies--I buy most of my used gear from KEH; you can check their current GoPro inventory here. 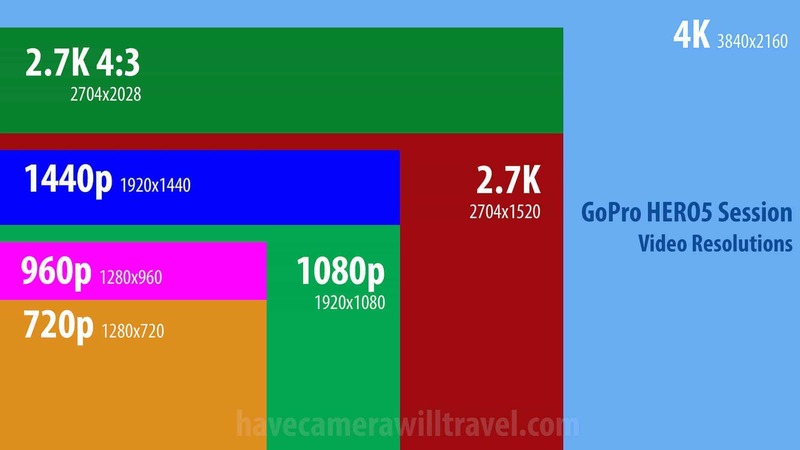 Can I Use 128GB and 256SD Cards in GoPro Cameras? That's great! Enjoy shooting with them! Would love to have you review the 2018 model with the firmware hack, and see if it's still worth getting the GoPro 5 model. Even though you unlock the features from the 5 within the 2018 model.. But, reading some features are still locked. Good idea. Will look into doing it. I hadn't got around hacking the 2018 because I already have a couple of HERO5 Blacks. But it would be interesting to see if there's any difference in features available. Will look into it. So I bought a Hero 2018. Made a mistake and broke it, and got it replaced. Got the Hero 5 black as replacement. As far as I can tell, they're identical, but I can't say with absolute certainty. I've seen reports that when flashed with the hacked firmware, the HERO (2018) still has GPS and 4K30. But I haven't tried any of the firmware hacks and can't recommend trying them, in part because you can brick your camera if something goes wrong and in part because GoPro's lawyers are pouncing on firmware hack posts with takedown notices. Thanks--I was wondering when someone was going to come up with a firmware hack for it. There's something I've been curious about--it's pretty clear that the main guts are the same, but does the hacked version include GPS functionality? I'm assuming that chip was omitted to save costs, but maybe it was more expensive to remove it. If anyone's tempted to try the firmware hack at that link, please be very, very careful. I haven't personally tried the method outlined there, and messing up firmware updates can turn your camera into an unresponsive and unrepairable paperweight. Surprisingly enough, the Hero (2018) WILL work with the GoPro external microphone adapter despite not being officially supported by GoPro. Like the Hero 5 Black, the external mic will not function in quick capture mode. Basically, you'll have to turn your camera on prior to recording in order to utilize the external microphone. This lends credence to the theory that the Hero (2018) is simply a Hero 5 black with crippled firmware. Interesting--I hadn't tried that. Thanks for the tip!